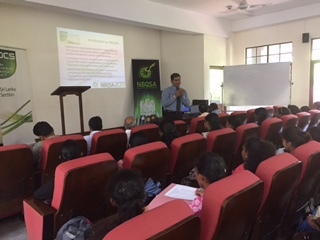 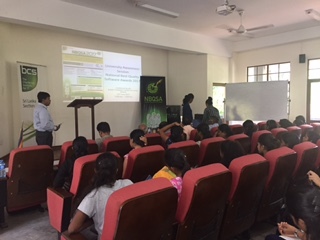 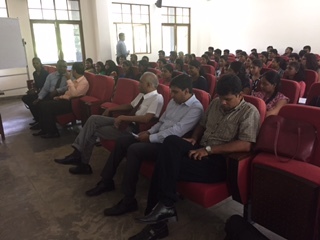 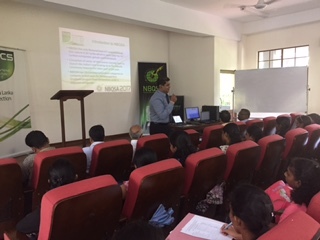 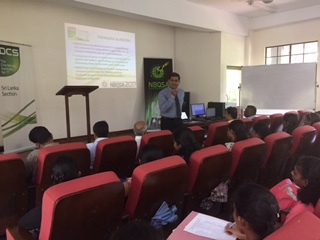 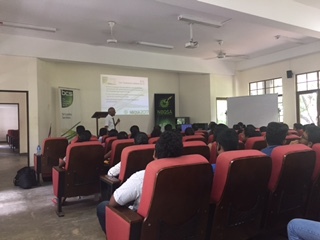 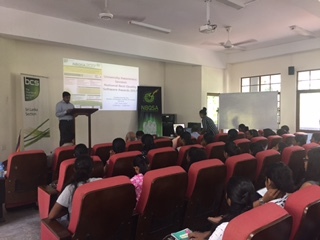 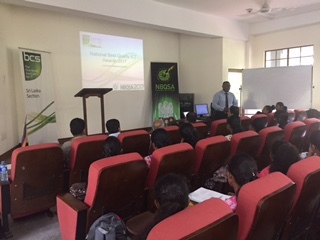 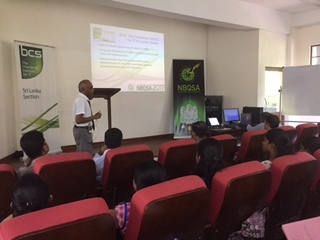 The British Computer Society – Chartered Institute for IT Sri Lanka Section (BCS-SL) conducted a Awareness Session on the National Best Quality ICT Awards (NBQSA). 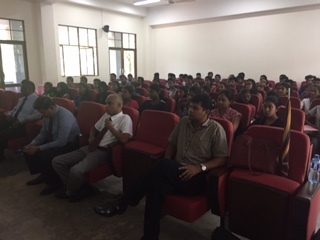 The event which was organised by the Department and held on 23rd June 2017 at SBFF hall from 1100 – 1200 hrs was attended by students and academics of the department as well as computing departments of other faculties of the University of Sri Jayewardenepura. 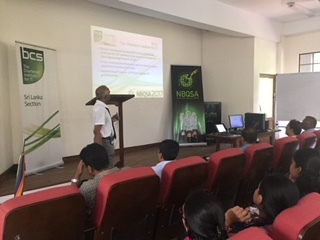 Mr. Geethapriya Tillakaratne, Mr N. Nirmalan, Mr. Vajeendra S Kandegamage (Excecutive Commitee Members from BCS-SL) and Ms. Dashanthie Gamlathge (NBQSA Event Coordinator) provided an insight into the competition and encouraged student from the department and University to participate at this National Competition. 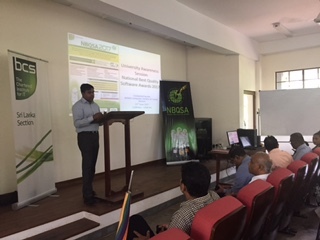 NBQSA is the only National Event in Sri Lanka of its caliber which focuses on recognizing the innovative ICT Products in the country. 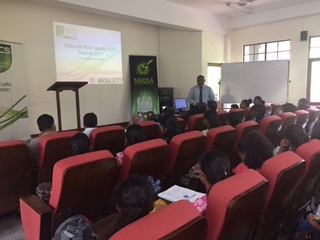 One of the main categories in NBQSA is recognizing the students in Universities for their project applications under the Tertiary Category. 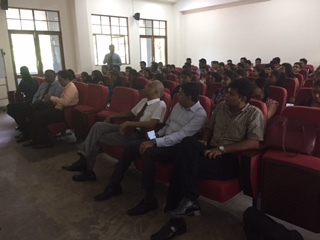 The Winners and Merit holders in this category are sent to the Asia Pacific ICT Awards programme to represent Sri Lanka. 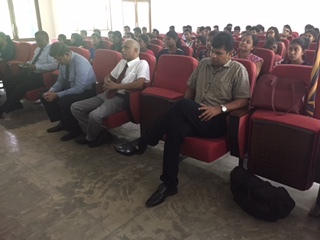 The event was coordinated by Dr. K.S. 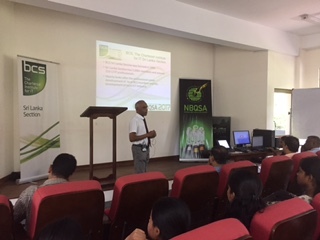 Lasith Gunawardena on behalf of the department.